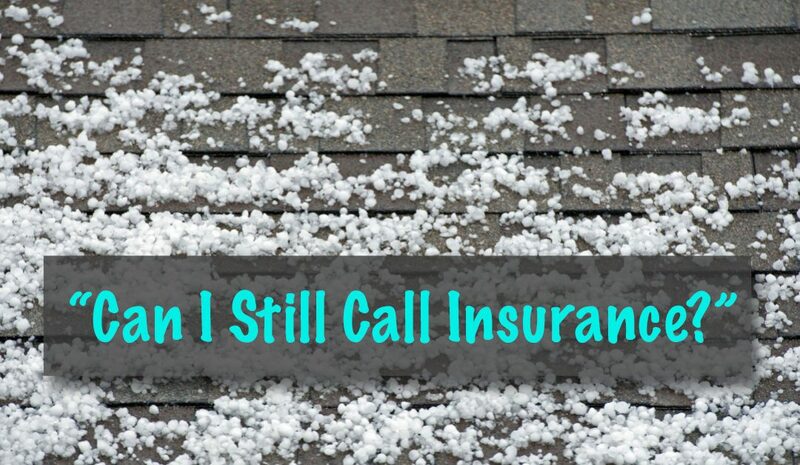 How Long After Hail Hits Can I Call Insurance For A Roof Hail Claim? Hail is no small deal here in the Front Range of Colorado. It can wreak havoc on your home, without you even knowing it. That’s right, hail damage can go undetected for a considerable amount of time, but that does not mean that it is not dolling out its fair amount of damage—and expensive damage at that. If your neighborhood has been hit with hail within the past year, it is best to have your roof inspected now. A simple inspection could save you thousands of dollars, and will certainly spare you from some headache. How long do you have after a storm for making a hail claim? The good news is this: most insurance companies cover the cost of a roof replacement or repairs within a 12-month (or more) time frame from when hail hits. This means that if hail hit your home six months ago, you may still be eligible for insurance compensation. Of course, it is best not to wait that long to call a qualified roofing company or your insurance. As stated above, the quicker the damage is diagnosed and corrected, the less likely there is to be more extensive damage done to your house from a compromised roofing system. Your roof serves as a primary source of protection for your home, make sure it is ready and able to weather any storms ahead. Another thing to keep in mind is that your hail insurance claim window (the time in which you can file an insurance claim) resets with each hail instance. This means that if damage was done over a year ago, but hail hit your neighborhood again last month, you are most likely eligible for insurance compensation to help cover the cost of repairs or replacement. What if you don’t qualify for an insurance claim? What if you call in a reputable roofer to inspect, and your roof just doesn’t qualify for compensation? Well, a local, experienced roofer will be able to walk you through your options for repairs or replacement. They’ll be able to correctly diagnose the extent of damage done, and recommend the right course, or possible courses, of action. Many of them also offer discounts and specials to help fit your new roof into your budget. How do you choose the right roofer? Make sure that they are a local company with a base office in or around your city. This means that they will have a strong reputation, and completed jobs in your area that you can take a look at. It is best if they have been in operation for at least five years, and have positive reviews on websites like Facebook, Google, and Yelp. A good contractor will also carry all local licensing, and have strong accreditations. Most of all, they’ll be kind, courteous, knowledgeable, and not rush the process of your inspection or project. Many homeowners, without this knowledge, go on with a compromised roof, leaving their home vulnerable to water damage. It does not need to be this way. Warranties and insurance are there for a reason—to protect your investment. So make sure that you call as soon as hail hits, and work with a local contractor who is highly experienced in hail claims. It might just save you thousands of dollars.